Collagen is a natural protein found in mammals that can be used in facials to create more youthful looking skin. But are collagen supplements right for your skin? Much of what you need to make your skin look its best is already inside of you, most notably as collagen. Today, collagen facials are a popular skin care treatment to keep you looking young. Collagen is abundant throughout the human body in fibrous tissues such as tendons, ligaments, and skin. In addition, collagen is found in blood vessels, bones, your gut, and in cornea of your eye. Collagen also is one of the key elements responsible for strengthening blood vessels and your skin’s strength, smoothness and elasticity. Over the years, collagen does begin to degrade, which leads your skin to develop wrinkles, a skin sag, and other issues. Because of these unfavorable aging related issues, collagen facial treatments have become hugely popular among the aging population. A collagen facial is a treatment designed to restore the depleted collage in your face and rejuvenate your skin. Ultimately, a collagen facial will slow down the aging process by replenishing your body’s natural proteins through external applications. In the beginning of your facial, you should have your skin cleaned thoroughly with a cleanser. Afterwards, your skin will be exfoliated, which entails using various scrubs to clean and unclog your skin. An alternative exfoliation is a chemical scrub, which will remove the dead skin cells from their surface of your skin. After your skin has been cleansed and exfoliated, the next step will be to massage your skin with a concentrated collagen cream. Instead of purchasing a facial cream from a retailer, you can also make your own. By simply combining a fruit pulp mixture of avocado and kiwi fruit, you can create your very own collagen facial mask. The mask should be left on your face for about 30 minutes. To remove the mask, you should use warm water and ensure all of the mask is removed. Receiving regular collagen facials will lead to your skin having a more attractive and radiant glow. As an additional bonus, you can use a collagen facial moisturizer at night while you sleep, which will maximize the glow of your younger looking skin. Reduce aging signs. Collagen facials will reduce the size of your pores and improve your skin’s texture. Your skin will look younger with fewer fine lines and wrinkles. Simple and affordable. Because collagen is naturally occurring in mammals, it’s safe and doesn’t require any type of special preparation. You can find really inexpensive collagen facials for around $2 an application. More expensive collagen skin treatment facials can topple $200, which greatly depends on the brand. Reduce stress. By applying a collagen facial a few times each week, you can relax, pamper yourself, and enjoy the feeling of refreshed skin. Retard degradation of your natural collagen. 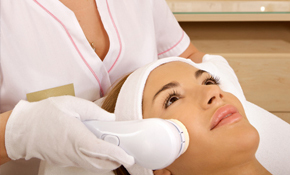 By using a collagen facial, you will slow the degradation of your skin’s existing collagen. In addition, you will minimize the damage caused by free radicals, which also helps protect your skin’s existing collagen.